WILMINGTON - Phil Kessel has had enough of tracking his teammates on television. "I hate watching," said Kessel. "It's tough when you want to be out there helping your team. But the boys did a great job." On Tuesday, prior to the Bruins' 3-2 overtime win over Washington, Kessel got some good news when he was cleared to play by team doctors. Yesterday at Ristuccia Arena, he went through his first full practice with his teammates since his last game, Jan. 10 against Carolina. Barring a last-minute change of plans, Kessel will be back in the lineup tonight against New Jersey after missing only six games because of mononucleosis. "I'm fine. I'm back," Kessel said. "I got the test done [Tuesday]. I'm cleared. So I'm pretty happy about it." Kessel, the team's leading goal scorer (24-17 -41 in 42 games), was originally expected to miss a month. However, he thought he was suffering from mononucleosis for several weeks before he was diagnosed. "I didn't feel very good for a while," Kessel said. "Just wasn't feeling like myself." In the last nine games before he was sidelined, Kessel totaled only three goals and one assist. Prior to the nine-game stretch, he had scored at least 1 point in 18 straight games. "I thought I had it for a while," said Kessel, who had been skating on his own prior to yesterday's practice. "I went in there probably about a month before. They said no, but I knew I had it. Whatever, though. It's finished now." 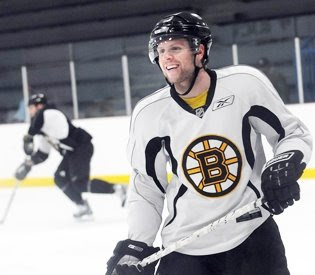 Yesterday Kessel practiced on a line with Milan Lucic and Patrice Bergeron. If he plays tonight, he is expected to be reunited with regular center Marc Savard, who was given yesterday off along with the team's three other All-Star participants (Zdeno Chara, Tim Thomas, and Blake Wheeler). Kessel should be back in uniform one game after the Bruins welcomed Lucic, Bergeron, and Andrew Ference back. Kessel wore a protective wrap around his midsection for precautionary purposes - contact to the spleen is dangerous for patients with mononucleosis - but was involved physically in two-on-two and three-on-three drills down low. He stayed on the ice after practice for some skills work with assistant coach Doug Houda. "He hasn't done much over the last couple of weeks, so it's more about timing," said coach Claude Julien of Kessel. "That's what we tried to do with him at the end of practice, having him work on his skills and handling the puck to see if we can help him get his timing back." On the bubble Byron Bitz, who threw down with heavyweight Donald Brashear for his first NHL fight Tuesday, could be facing an assignment to Providence as the Bruins return to full health. B's NewsBlast! - Patrice Bergeron to PLAY this evening verses the Caps! Forward Patrice Bergeron has been cleared and will play in tonight's game versus the Washington Capitals. Bergeron last played against Carolina on December 20th. 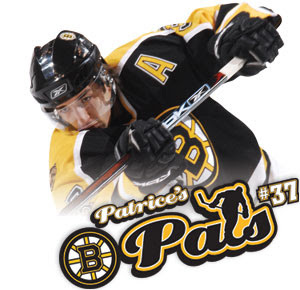 Welcome back Patrice & keep your head up! 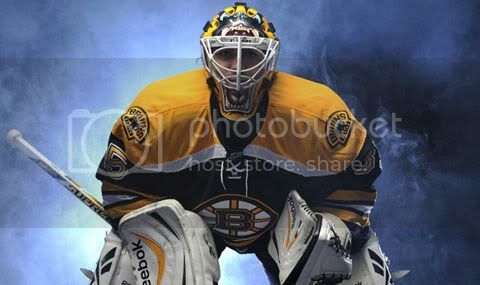 BOSTON - Boston Bruins General Manager Peter Chiarelli announced today that the club has recalled goaltender Tuukka Rask from the Providence Bruins on an emergency basis. Rask will join the team for practice Monday at 2:00 p.m. at Ristuccia Arena in Wilmington, MA. A "Rocky" Moment in Montreal? Well it was NHL All-Star Weekend in Montreal and what's Bruin to do? I guess dominate things much like they have the whole regular season so far... To wit; The four participating Bruins were initially greeted by Fans Les Habs with the totally expected and all too familiar boos but a funny thing happened along the way as it seemed like our Black & Gold stars were able to almost "win" over the capacity crowd at every turn with their efforts as not even the most restless & witless Bruins haters could deny their contributions over the weekend in what turned out to be a great showing by each of the Bruins All-Stars. "Wheels" effort was then followed up by B's Captain Zdeno Chara breaking Al Iafrate's 16-year-old hardest shot record with a blistering 105.4 mph slap shot on the final attempt of the event. All while wearing what I think is the WORST TUK I've ever seen in my life. I mean I can appreciate & get the marketing attempt for Z's favorite charity "Right to Play" (http://www.righttoplay.com/) but that hat's gotta go Z! Yikes! As for the All Star Game itself, Hab favorite Alexei Kovalev gave the Montreal & Canadiens fans something new to cheer about in their 100th Anniversary season by scoring two breakaway goals and then scoring in the shootout to help give the Eastern Conference All-Stars a wild 12-11 victory over the West on Sunday night. Kovalev, the East captain who had three points and skated off with MVP honors. However the REAL STORY & REAL MVP winner should have been off the effort of B's Goalie Tim Thomas who entered into a tie game starting the third period and into overtime having to kill a 4-on-3 power play. And then, a shootout. Komisarek, who appreared "stunned" he got called for a penalty, admitted there was one on the play. Thomas said he didn't see it because he was watching the puck. "In a way I was happy he didn't order a penalty shot, but in another way I was like, 'Oh no, it's 4-on-3 with the best players in the world for two minutes,' " Thomas said. "Either way, it doesn't look good. "Thomas made it look good. And his performance in the shootout was the capper. Like last year, Thomas was picked as the East's third-period goalie. His teammates believe he asks for it because he's got a little showman in him. "I knew he'd set it up to get that third period again," Bruins center Marc Savard said. "He's the big finisher," Boston defenseman Zdeno Chara added. "The closer." Probably the oddest but most enjoyable thing about the weekend was that the sellout crowd of Montreal fans, who were chanting "Go Habs Go" earlier in the night, started chanting "Defense, Defense" as the game got tighter and the play a bit chippier. And somehow Thomas, a mortal enemy in this building, became a "Habs fan favorite" through his determined play backboning the Eastern squad to the win. "Going through, shaking hands with Alexei (Kovalev), I said this is probably the last time Montreal will ever be cheering for me," Thomas said. "He was a teammate tonight," Komisarek said. "Tomorrow he's the enemy." And so aren't you Mike! 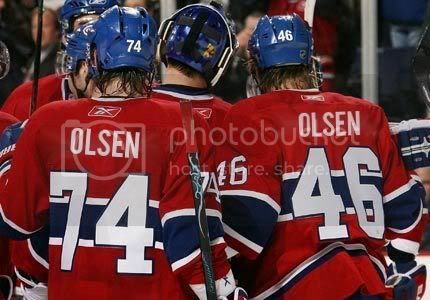 All in all though you have to say the weekend was a success on most levels mostly because of the great work of Montreal's entire hockey organization and dare I say it; their fans for being able to put aside "Blue Blanc Rouge" & simply come across as TRUE HOCKEY FANS and for that I send to them a respectful "Ole"
*Sobotka has played in 19 games for Boston during the 2008-2009 season and recorded 1-2=3 totals. In 19 games with the P-Bruins this year, Sobotka tallied 11 goals and 12 assists. *St. Pierre has seen action in 14 games for Boston this year and recorded 2-2=4 totals. He netted the shootout-tying goal during Boston's 4-3 shootout victory over the Toronto Maple Leafs on Wednesday night. In 32 games with the P-Bruins this season, he registered a 10-28=38. *Lashoff has seen action in 16 games for Boston this season, registering one assist, and has played in 18 games for Providence with 4-12=16 totals. The Boston Bruins return to action after the NHL All-Star Break on Tuesday, January 27th when they host the Washington Capitals at 7:00 p.m. ET. I have a dream that one day, all professional athletes will "get" clock management. I have a dream, that in rinks across America,well paid, highly skilled hockey players will not stare at an open net and be seduced by the prospect of an "easy goal". I have a dream, that when the other team pulls their goalie, while on a power play, that the defenseman many are calling Norris caliber will not try to skate the puck out his own zone, but rather just clear it the length of the ice. I have a dream, that two of the top skill guys on the Bruins will either be able to hit a wide open empty net, or know enough to just eat the puck to allow time to expire. I have a dream, that after rallying from a 2-1 deficit by scoring 3 goals in a minute and a half, that the top team in the East won't allow 2 goals in the final minute and a half of the game. I have a dream that Claude Julien never put PJ Axelsson in the shootout again. I have a dream, that barring Julien not giving him another chance, that Axe actually comes up with another move on the shootout. I have a dream, lastly, that, the Bruins start to get healthy again so they can actually dress an NHL line-up for the rest of the season. Of all the dreams I have, the B's returning to health is the most likely, and probably the most important. Perhaps, just perhaps, if the B's weren't so ravaged by injuries most of the above situations wouldn't have come into play. I'm not one for excuse making, because as Mike Milbury said, the B's had enough talent on the ice yesterday to beat the St. Louis Blues. But a funny thing happened. The Blues beat the Bruins at their own game. They worked hard. They forechecked (A constant source of trouble for the B's, hard forechecking teams have given them fits all season). They never gave up hope, even when it looked like they blew their last best chance for the win. The Blues, despite this huge win, aren't going anywhere this year. But this should go a long way towards boosting their team confidence, and serve as a great teaching tool for the coaching staff. The question now becomes, what lessons id the Bruins learn? For a moment, it looked like the Black & Gold was going to pull off their customary rally and win another game they probably didn't deserve to. But once they got the 2 goal lead, they sat back. And the Blues, to their credit, came at them with everything they had. The most distressing part of the "collapse" was who made the big mistakes. Chara had a chance to clear the puck before the Blues third goal. But he muffed it, and only got it to the blue line, not out. Then Wideman, the one many are saying is Boston's best D-man, decides to skate the puck out of harms way instead of firing it the length of the ice. Moments later, it's 4-3 and St. Louis smells blood in the water. But surely the Bruins, the top team in the Eastern Conference will be able to protect the one goal lead for a minute twenty, right? Well, no. They hung on for a minute nineteen and change. But it wasn't for a lack of opportunity to ice the game. The B's had PLENTY of chances to bleed the clock dry. First Wheeler couldn't handle a puck along the left wall, allowing St. Louis to remain in the zone.Seconds later, Wheeler got beat to a loose puck along the boards by Jackman (much tougher play, but Wheels could/should have eliminated Jackman at least causing a scrum). Just a few seconds after THAT, Ryder was able to clear the puck, sending Wheeler on a break down the right wing. Wheels made a good decision in making sure he crossed the red line before shooting at the empty net. But then, "IT" happened again. As any of you have read this space previously know, I've often blasted Wheeler for not "bearing down" and "burying" chances. Well, his shot at the empty net was as lazy as they get (well, maybe not, ut we'll get to that later). He casually flicked the puck towards goal, assuming he had the easy lay up. As we know, the shot just missed off the left post. No problem, the rebound went directly to Krejci positioned at the top of the left face off circle. With only 19 seconds left on the clock, all he has to do is A)rip it into the empty net or B)carry into the corner and eat it. If he had a clean shot at the net, shooting from there is an easy call. But he didn't. Two Blues stood between him and the net. He got it past the first one (who was standing on the face off dot attempting the block), but he wasn't able to get it past the terrific game saving block by Barret Jackman. I give tons of credit to Jackman for that play. He did a great job of giving his team that one last chance. But that still doesn't excuse Wheeler and Krejci. Wheeler should have hit the net. Krejci probably shouldn't have even shot it. With so little time on the clock, the wise play is to milk it and escape with the two points. Forget padding your stats with an empty netter. But, that didn't happen and St. Louis came down the ice and got the benefit, I think, of a fairly generous allowed goal call. It appeared to me that the puck was batted in with a high stick. But it was close enough that whatever was called on the ice, would probably stand up under review. Again, I think it was a high stick. But it shouldn't have ever gotten to that point. The over time was sort of a whole lot of nothing. Bruins had 2 shots during the extra session, the Blues had none. So, it would come down to the shootout. Here we go again. Wheeler was first up and made a great move. He cleanly beat Mason and had a huge opening on the right side to bury the puck. But alas, this is Blake Wheeler we're talking about. The move was great, but again, he failed to bear down and bury the shot. He just casually slid the puck at the net, and caught the right post. No goal. Next up for the good guys? Krejci? Ryder? Savard? Friggin' Sobotka, Wideman, St. Pierre......??? Nope, well known defensive specialist Pj Axelsson. He of the one shoot out move. Predictably, he did it again. Swing wide right, come across the crease and jam on the brakes, trying to backhand it short side high. Yes, it worked to great effect once for a SO win earlier this year. But every time he's tried it since, he hasn't been able to roof the puck. And that move depends on roofing it, not just getting it barely off the ice. It's not, by any means, an easy move to pull off. But that's the point. Why put a player out there, not known for his great offensive skills, to try such a difficult shot? Julien has to know PJ is going to go back to that one....it apparently is the only thing he knows how to do in the SO. So why not put a more versatile offensive player out there? I know they're very short handed right now, and guys like Kessel, Bergeron and Sturm would be your first choice. But you can't tell me there were no better options than Axe in that situation. Boston heads to DC for the biggest event of the month in our nations capital. Supposedly there are some parties and whatnot scheduled for early next week, but I can't see how they'd be any more entertaining than what is on tap for tonight at the Verizon Center. While President-Elect Obama and friends discuss world unity, the Bruins will be focused on attacking and defending against the Russians. Ovechkin, Semin, Kozlov, Federov.....OK, they may not be Stalin, Lenin, Brezhnev and Gorbachev. But they can be pretty intimidating in their own right. The Bruins will need to keep their cool against these four, and not reach for "THE Button". If Boston plays it's trade mark style of solid team defense, they should be OK. Of course, the biggest key to the game is keeping Super-Star Alex Ovechkin contained. This task will again fall mainly to Zdeno Chara. In their last match-up here (a Washington 3-1 win), Chara so frustrated AO, that he switched wings to try and free himself from big Z's relentless pressure. I wouldn't be surprised to see a similar situation tonight, as Caps coach Bruce Boudreau looks to give AO as much room as possible. But only if it were "just" Ovechkin you had to worry about. Unfortunately, the Caps also have Alexander Semin. Semin, slowed by injuries, is a huge second line threat. In just 27 games this year, he has put up a 17G, 21A 38P line. He also easily has the best +/- on the Caps, at +21. Not bad for a second liner. So all the work on D can't be left up to Chara. The whole team, forwards included, will have to work hard in all three zones. 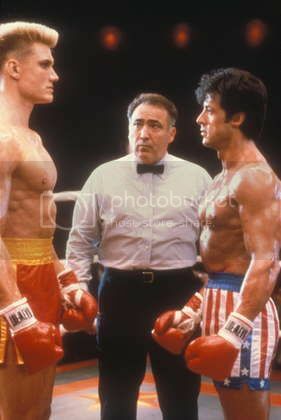 "Gap control" will be the catch phrase of the night for Jack and Brick. If the D give too much room in the neutral zone, they have no chance against the up-tempo Caps. Washington plays at a break-neck pace, at all times. Which can also backfire on them, allowing quick breaks in the other direction. If the B's play a sound, responsible game all over the ice, they should be fine. As gifted as the Caps are up front, they can be equally inept on the defensive side of the coin. Mike Green is their best Defenseman. After that, it's a crap shoot. Former Bruin Milan Jurcina is steady, but not spectacular. Banger John Erskine is a physical presence on the top pairing, but far from a shut down defender. Their goalie tandem is a lot like Forrest Gump's box of chocolates. You never what you're going to get. Brent Johnson will probably get the start tonight. He comes in with decent numbers, 2.78GA and .909save%. Respectable, but not elite by any means (again, playing behind this Caps team isn't the easiest job in sports). Washington looks to beat teams by simply out-scoring them. Luckily for Boston, they have plenty of scorers of their own. With the depth of scoring Boston has, combined with the solid defense they play, I give the edge to the Bruins in this one. This should be a VERY entertaining game. Any game that involves the most exciting player in the world should be, but this one even more so. Washington desperately wants to catch Boston for first place in the Eastern Conference. And Boston, aside from wanting to maintain their 11 point lead, are looking to "avenge" their loss last time in DC (their only road loss since Thanksgiving). I expect the Krejci/Wheeler/Ryder line to get back in the swing of things after a rare dud against the Islanders. All that being said, I'm looking for a B's win.....man, I can't commit to a score.....ok ok...how about 4-3? Scorers, I'll go with Ryder, Chara, Krejci and Kobasew. 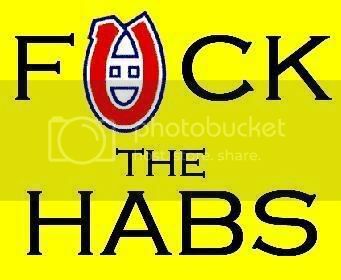 After an emotional game against long time rival Montreal Tuesday night, the B's face a whole new challenge tonight. Not looking past the awful Islanders. Easier said than done perhaps, but it's crucial for the B's to not start looking forward to Saturday night's game with Washington. As bad as the Islanders are, and make no mistake, they're awful.....the Bruins need to be businesslike tonight. I really don't expect any kind of a let down though. The B's have been very good all year of handling teams they're supposed to and moving on. Even with all the key guys still missing (Bergeron, Ward, Ference and Looch are all out), they have enough to carry on the mantra of "one game at a time". Since this team blows, and it's getting late, this will be a short and sweet preview. Predictions: Bruins win 5-1. Krejci, Ryder, Wideman, Thornton and Savard are your goal scorers. Tim Jackman is the fighting major leader for the Islanders (he went with Hnidy in the last game). But Mitch Fritz is by far their biggest heavyweight. He's a 6'8" 253lb Left winger, who has fought nothing but the heavy's of the NHL. He's taken on Laraque, Peeters, Goddard, Cote and Orr this season. Pretty impressive fight card there. He beat Larque, and he caught Peeters with a NASTY right uppercut, dropping the big goon with one shot. If push comes to shove...and it very well could, Thornton will have his hands full with Fritz. 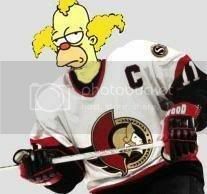 Jackman could stir it up with a Stuart, or Thornton as well. No big deal there, he's fairly tough, but not unbeatable by any means. Fritz is the guy to keep your eye on tonight. WILMINGTON, Mass. — While recovering Boston Bruins players Andrew Ference, Manny Fernandez, Patrice Bergeron and Milan Lucic were scheduled to make the team’s road trip to Long Island for Thursday’s game and Saturday’s game in Washington, defenseman Aaron Ward was scheduled to stay back. Ward re-aggravated a charley horse he suffered last week when he was hit from behind by Montreal’s Andrei Kostitsyn in last night’s win over Montreal. Bruins head coach Claude Julien said that Ward and the trainers were speculating the veteran could return within a week, but there’s no way to accurately predict the timetable. As mentioned in the B's NewsBlast below Matt Lashoff was recalled to take Ward’s spot among the Bruins’ top six blueliners. Bruins General Manager Peter Chiarelli announced Tuesday that the club has recalled defenseman Matt Lashoff from the Providence Bruins on an emergency basis and assigned goaltender Tuukka Rask to the Providence Bruins. *Lashoff will join the Boston Bruins for practice on Wednesday and accompany the team on their two-game road trip to Long Island and Washington.Lashoff has seen action in 13 games for Boston this season, registering one assist, and has played in 18 games for Providence with 4-12-16 totals. He split last season between Boston and Providence and skated in 18 NHL games, registering 1-4-5 totals and appeared in 60 games for the P-Bruins, tallying 9-27-36 totals. *Rask was recalled on an emergency basis on two occasions (Saturday, January 10 and Monday, January 12) and served as the team's backup goalie in their 5-1 win over the Hurricanes on Saturday, January 10 and their 3-1 win over the Canadiens on Tuesday, January 13. Rask has started 30 games this season for Providence and has posted a 17-13-0 record with a 2.42 Goals Against Average and .919 save percentage. His 17 victories are the second most in the AHL. 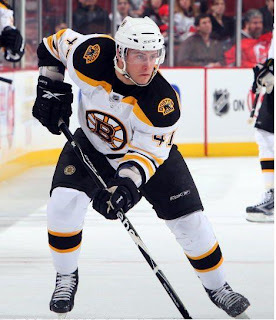 Boston Bruins General Manager Peter Chiarelli announced today that the club has recalled forward Vladimir Sobotka from the Providence Bruins and assigned forward Martins Karsums to the Providence Bruins. *Sobotka will accompany the team on their two-game road trip to Long Island and Washington. 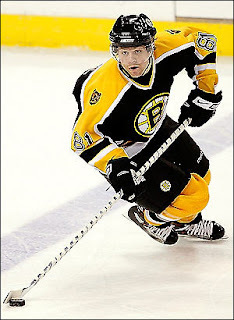 Sobotka has played in 15 games for Boston during the 2008-2009 season and recorded 1-1-2 totals. In 19 games with the P-Bruins this year. *Karsums is currently the leading scorer for Providence with 16 goals and 23 assists in 38 games. Recently named an AHL All-Star, he will play for the Planet USA team in the AHL All-Star Classic on January 26. He skated in three games for Boston and earned his first career NHL point with an assist on Saturday, January 10 against Carolina. In my game preview yesterday I said that a win or a loss really wouldn't prove anything for either team. And I'm not going to change my opinion on that, now that the Bruins won. However, the game did confirm a few things, which I'll break down quickly. 1)We received confirmation that Zdeno Chara is playing like a Norris Trophy candidate. Shut down defense, huge physical presence and oh yeah, he also scored two goals for his under manned team. That spells Norris, but it also spells CAPTAIN. A role he has grown into nicely. 3)Julien's faith in PJ Axelsson is not misplaced. Everyone, myself included, tends to bemoan the fact that PJ sees so much time on the top PP unit. But that is just another example of the trust Julien has in him. And last night, PJ had one of his best games of the year. Good decisions with and without the puck, as usual. Seemed to have some jump in his step and was generally involved in a good way all night. 4)Shane Hnidy may be the most under rated player on the team (and around the NHL). Once again, the veteran had a nice steady, no panic game. Seemed like every time the Habs started flying around and applying pressure, the puck would end up on Hnidy's stick and he'd calmly clear the zone. Nothing fancy, just effective. Although he looked awkward wearing a visor, he showed no hesitation in playing his usual rugged style, willing to mix it up a bit and block shots as usual. 5)This bruins team is the most "unified" team they've had in many years. When Ashley (or was it Mary-Kate?) Kostitsyn boarded Ward, the first person to respond was Timmy Thomas. He was quickly joined by everyone else n the ice, as we've come to expect. So those are five things that we already knew about the Bruins. But what, if anything, did we get confirmation on from the Canadien side? Glad you asked. 1) We, as expected, were proven to be right that Mike Komisarek is a complete and total pansy and cheap shot artist. His next hit on an opponent that sees him coming will be his first. How many times can you "low-bridge" opponents before you seriously injure someone? This hit has apparently become his bread and butter, at least against the B's. And just to remain consistent, he was his classic pushing, shoving and chirping after the whistle (while safely separated by the refs) self. The fact that Lucic wasn't in the line-up, and Komi was taking advantage of it was glaring. 2)A. Kostitsyn, is in fact, a woman. 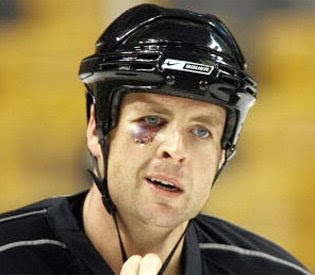 This is a player with a history of dirty hits, who has yet to stand up for his actions. While his hit on Ward wasn't the worst I've ever seen, it was clearly avoidable. Ward had his back to him for a long time, but this little weasel targeted him anyway. Absolutely no reason to hit a player in that position. Of course, as soon as the Bruins responded, he hiked up his skirt and practically ran to the safety of the penalty box. I'm not saying every player in the league has to fight. But I AM saying, if you're going to CONSISTENTLY make dangerous hits, you should be willing to stand up for your actions. You're risking people's careers, you should at least be willing to put your nose on the line and take the beating you have coming to you. 3)Canadien fans are still delusional. FIRST comment I saw today from a Habs fan (this means you, Rocket) was that the game was won by the officials. Really? So, the hit on Ward was legal? And the follow up cross check by Hamerlick should have just been ignored? You know, for a city that constantly anoints itself as the center of the hockey universe, some "all knowing bastion of hockey purity", the amount of nonsense and homerism that comes from that Province is dumbfounding. It cracks me up to no end to read such ignorant comments. Oh, and it's not just the constant whining about the refs that is so amusing. SO many of the comments I've seen today are about how "Thomas is lucky" and "we make him look like an All-Star" or "Thomas can't keep being so lucky, and he won't play well in the playoffs". HYSTERICAL. Just what, exactly, do Habs fans need for "proof" that Tim Thomas, IS in fact, an All-Star caliber goalie? Forget the fact that most Habs fans are discounting the loss because of all their injuries, I expected that. Of course, they also don't want to acknowledge that the Bruins were missing as many, if not more, key pieces. But hey, if Habs fans want to make excuses and still claim to be the superior team, despite all the evidence to the contrary, I won't be the one to rain on their parade (Just their Stanley Cup parade, which I'm sure they have all planned already). Bottom line from last night is this: It was a pretty entertaining game, but not nearly what some Bruins-Canadien games have been. With the number of AHL players involved, I'm not surprised. But nice to see that "our kids" are better than "their kids", at least for one night. Boston, MA - Boston Bruins General Manager Peter Chiarelli announced today that the club has assigned defenseman Matt Lashoff and goaltender Kevin Regan to the Providence Bruins and recalled goaltender Tuukka Rask and forward Martin St. Pierre from the Providence Bruins on an emergency basis. Additionally, the club has placed forward Phil Kessel on injured reserve (mononucleosis). Rask and St. Pierre are expected to participate in the team's morning skate today and be available for the game against the Montreal Canadiens at the TD Banknorth Garden this evening. *Rask was recalled on an emergency basis on Saturday, January 10 and served as the team's backup goalie in their 5-1 win over the Hurricanes.Rask has started 30 games this season for Providence and has posted a 17-13-0 record with a 2.42 Goals Against Average and .919 save percentage. His 17 victories are the second most in the AHL. *St. Pierre has seen action in nine games for Boston this year and recorded 1-2-3 totals. In 32 games with the P-Bruins this season, he registered a 10-28-38 line. The 25-year-old St. Pierre has appeared in 30 NHL games in his career - 21 with Chicago, 9 with Boston - and has tallied two goals and five assists. *Lashoff has seen action in 13 games for Boston this season, registering one assist, and has played in 18 games for Providence with 4-12-16 totals. He split last season between Boston and Providence and appeared in 18 NHL games, registering 1-4-5 totals and appeared in 60 games for the P-Bruins, tallying 9-27-36 totals. *Regan was recalled by Boston today, January 12, and participated in the team’s practice this morning at Ristuccia Arena in Wilmington, MA. A South Boston native, Regan has appeared in 14 games this season for Providence and posted a 6-4-1 record with a 3.33 Goals Against Average and .875 save percentage. *Of much larger note is that after playing in all 82 regular season games last season, Kessel skated in all 42 games this season and has potted a team-high 24 goals and added 17 assists. His 24 goals rank tied for third in the entire NHL and he owns the longest point streak in the league, having accumulated points in 18 consecutive games from November 13-December 21, 2008. Boston's first round pick (5th overall) in the 2006 NHL Entry Draft, the 21-year-old Kessel has recorded 54-53-107 totals in 194 career NHL games. He had played in 167 straight regular season games, dating back to January 9, 2007. Krejci - Must be Czech for complete SNUB! I'll caution you that with this blog posting that I've now used this space as both a therapy session and as a way to gain for myself some level of comfort given the unjustified & unexplainable SNUB of David "The Krej" Kreji by the NHL's All Star Weekend committee not once but twice this week... But before I completely go off the rails here (and oh boy, I will...) Let me first off offer my sincere congrats to Claude "King" Julian (& his entire coaching staff) on being named coach of the Eastern Conference squad which is well deserved and must be SWEET for him seeing how it's back up in Montreal! Nice irony huh! Look it, I'm sure there's many other teams and many other different fans that can and would make just as strong an argument or "their guy" needing to be there and them being boned out of an invite too and to them I say - GET YOUR OWN BLOG! :-) Seriously though does anyone feel the need to argue these facts after looking at even his stats and tell me he doesn't AT LEAST deserve a "YoungStars" slot... Thought not! So after all that I guess I now just need to get over it and console myself by remembering that HOCKEY is a truly a TEAM game (ain't that right Montreal? -yeah right!) and so with this I now officially move past this BLATANT SNUB & will get back to the BRUINS TEAM and it's success... However not unlike the "Governator of California" I reserve the future right to say "I'll be BACK!" if this BS happens to him again so be warned all! B's NewsBlast! - Looch & Wheels are NHL All Game Weekend Bound as they're named to "YoungStars" Game! Game presented by Upper Deck, Saturday, Jan. 24 at Montreal’s Bell Centre. Showcasing the best of the League's young talent, the 10-player sophomore and rookie teams will face off as part of the 2009 Honda/NHL SuperSkills (7 p.m., ET, CBC, RDS, VERSUS). This marks the sixth consecutive YoungStars Game at All-Star Weekend and the first under the sophomores vs. rookies format. The rookies will have to contend with a sophomore offense that features 2007-08 Calder Trophy runner-up Backstrom, who ranks second on the Capitals and 11th in NHL scoring with 45 points (12 goals, 33 assists); Little, who leads the Thrashers with 19 goals; and Setoguchi, who ranks second among Sharks in goals (18). Completing the talented sophomore lineup is 2008 YoungStars Game MVP Brandon Dubinsky of the New York Rangers, Milan Lucic of the Boston Bruins, Andrew Cogliano of the Edmonton Oilers and Mason Raymond of the Vancouver Canucks. The sophomore defensemen are Kris Letang of the Pittsburgh Penguins and Marc Staal of the New York Rangers, each of whom competed as rookies in last year's YoungStars Game in Atlanta. The goaltender is Erik Ersberg of the Los Angeles Kings, the 26-year-old Sala, Sweden native who was not selected in his draft-eligibility years, signed as a free agent with the Kings in May, 2007 and has gone on to win a full-time place with the club. Mason's defense pair are both top-five 2008 Entry Draft selections, 19-year-olds Drew Doughty of the Los Angeles Kings and Luke Schenn of the Toronto Maple Leafs. Doughty, picked second overall, and Schenn, who went fifth, rank 1-2 among rookies in average ice time per game at 23:54 and 21:05, respectively. The rookie offense will be led by three co-leaders in the rookie goal-scoring race with 13, Blake Wheeler of the Boston Bruins, Kris Versteeg of the Chicago Blackhawks and James Neal of the Dallas Stars. Rounding out the lineup is 2008 Entry Draft first overall selection Steven Stamkos of the Tampa Bay Lightning, Michael Frolik of the Florida Panthers, Mikkel Boedker of the Phoenix Coyotes and Patrik Berglund of the St. Louis Blues. YoungStars players were selected by the NHL’s Hockey Operations Department and the NHL Players' Association. in consultation with League General Managers." 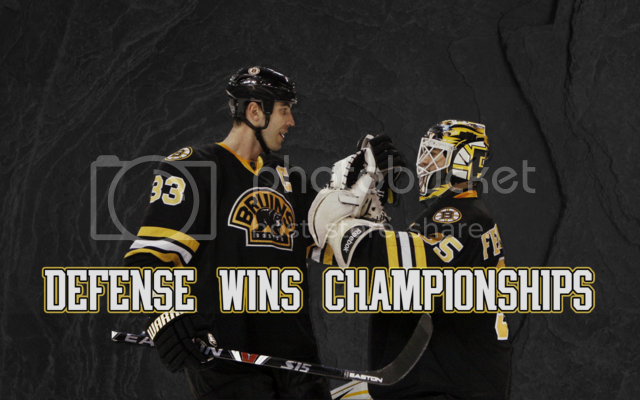 *Photo credit for the above goes out to the folks at bostonbruins.com as well! B's NewsBlast! 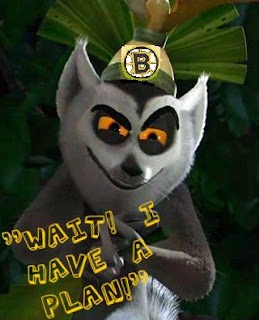 - Claude "King" Julien Officially Named As All-Star Head Coach! Under the selection process for All-Star coaches, the head coach and assistant coach for the Eastern Conference All-Stars are the head coaches of the two teams with the top points percentages in the Eastern Conference through games of tonight, the halfway point of the 2008-09 regular season. The head coach and assistant coach of the Western Conference All-Stars are the head coaches of the two teams with the best points percentages in the Western Conference. Julien has guided Boston to its best start since 1929-30 with a points percentage of .780, posting 64 points in 41 games (30-7-4); the Bruins are assured of having the Conference's top points percentage through Saturday. Julien will make his first career NHL All-Star coaching appearance in the city where he coached the Canadiens for 159 games over three seasons from 2002-03 to 2005-06. B's NewsBlast! - 3 Bruins Named as Eastern All Stars! Marc Savard, Zdeno Chara and Tim Thomas will represent the Boston Bruins at the All-Star game again in 2009.Boston, MA - The NHL announced today that Boston Bruins Zdeno Chara, Marc Savard and Tim Thomas have been named to the Eastern Conference All-Star roster for the 2009 NHL All-Star game, which will be held on Sunday, January 25 at 6:00 p.m. ET at the Bell Centre in Montreal (National TV: VERSUS). This marks the fourth all-star appearance for Chara, the second for Savard and the second for Thomas. All three players represented the Bruins at last year's all-star game. Savard has tallied the fourth most points in the NHL with 49, trailing only Evgeni Malkin (63), Alex Ovechkin (53) and Sidney Crosby (51). His 36 assists rank third behind Malkin (48) and Joe Thornton (36) and he owns the best plus/minus rating in the NHL, along with teammate Dennis Wideman (+25). Savard scored the game-winning goal in last year’s All-Star game during an 8-7 win for the East. Thomas, who has compiled a 16-4-3 record on the season, is among the league leaders in all major goaltending categories. He ranks fourth in Goals Against Average (2.13), tied for fourth in Save Percentage (.932), and tied for fifth in shutouts (3). Thomas played a key role in last year's All-Star game, as he played the entire third period and earned the victory for the East. For more information on the All-Star game, and the weekend festivities, visit www.nhl.com. Cause for concern, or "just one of those games"?